11 foot x 58″ width in a 1.6 oz/yd Hexon ripstop – Limited stock available. 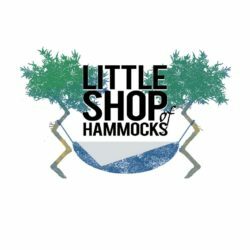 At Little Shop of Hammocks we designed the hammock from the ground up. Careful consideration goes into fabrics, design and function. 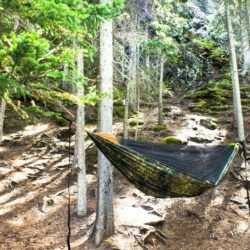 Hammock camping is a fantastic way to experience camping in the outdoors whether you are car camping, canoeing or hiking. 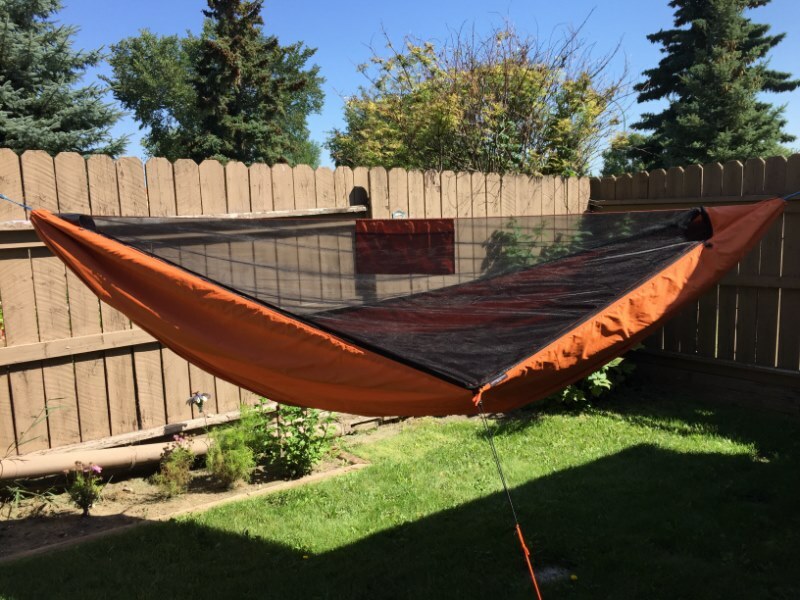 Each hammock is individually sewn. No cookie cutter pieces stuck on to cookie cutter blanks. This is where the difference is between the Warrior and other hammocks on the market. 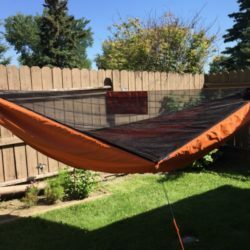 If you would like to customize the color of the netting or the triangles of the peaks on your hammocks you can do so in the custom work section. 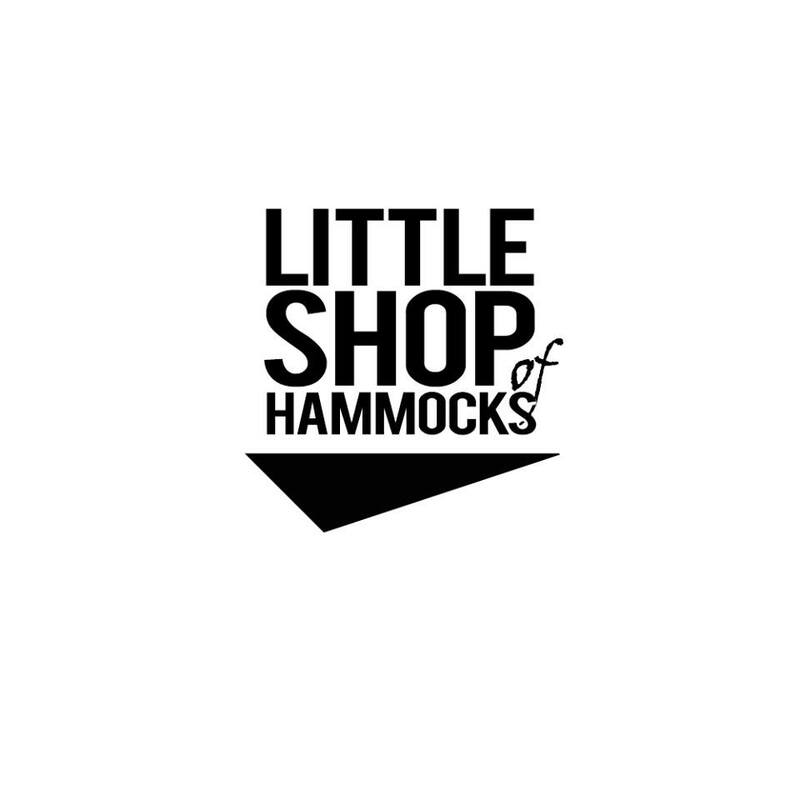 All hammocks are priced without a suspension. 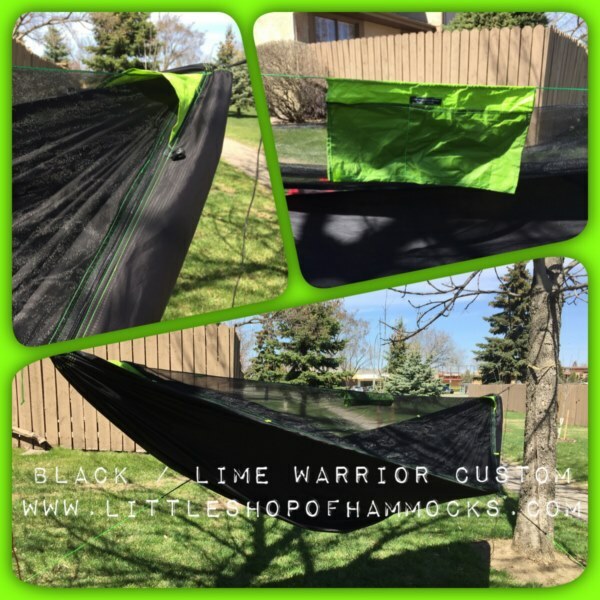 If you need a suspension you can choose whoopie slings or a cinch buckle suspension. 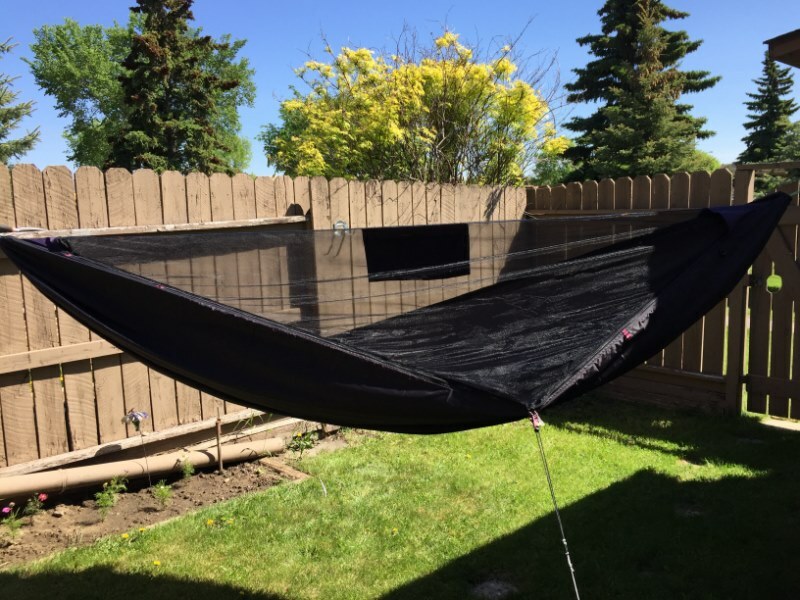 Utilizing an 11 foot length by 58″ width the standard Warrior will accommodate up to a 5’11”- 6′ foot hanger. 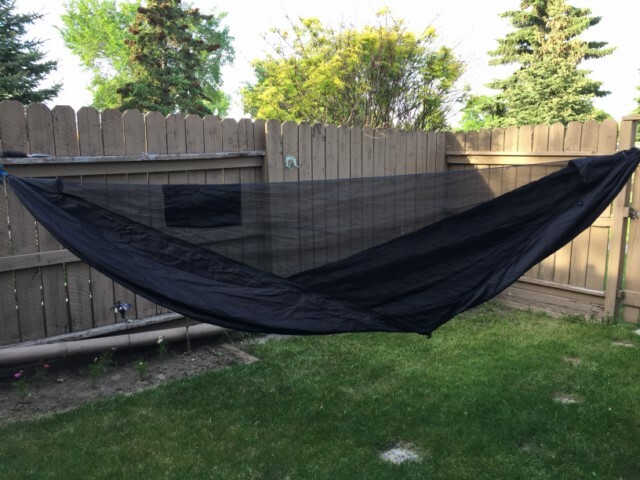 Integrated Bug-net using NanoSeeUm Bug Mesh. 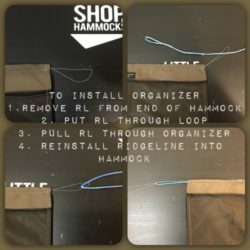 Comes with clip hooks for UnderQuilts standard and hammock pull outs. 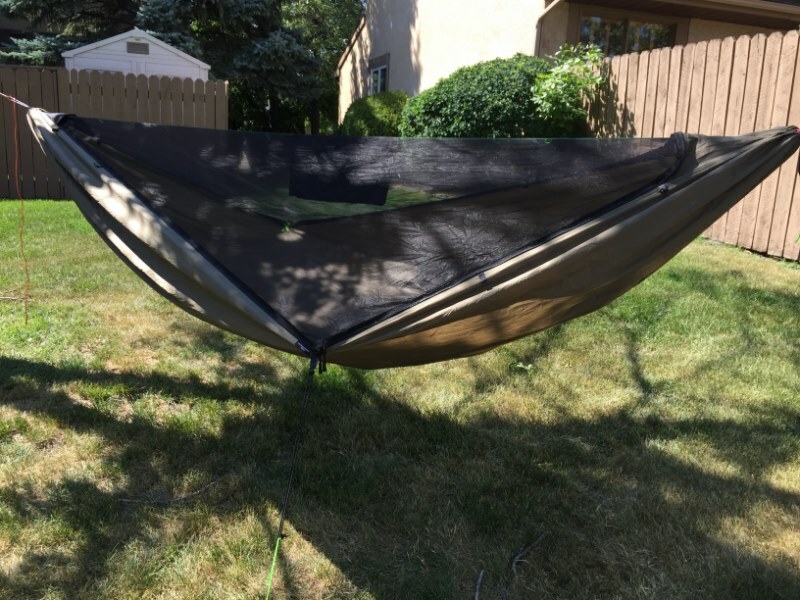 Stuff Sack: Silnylon stuff sack with 2 openings for easy access to your hammock. 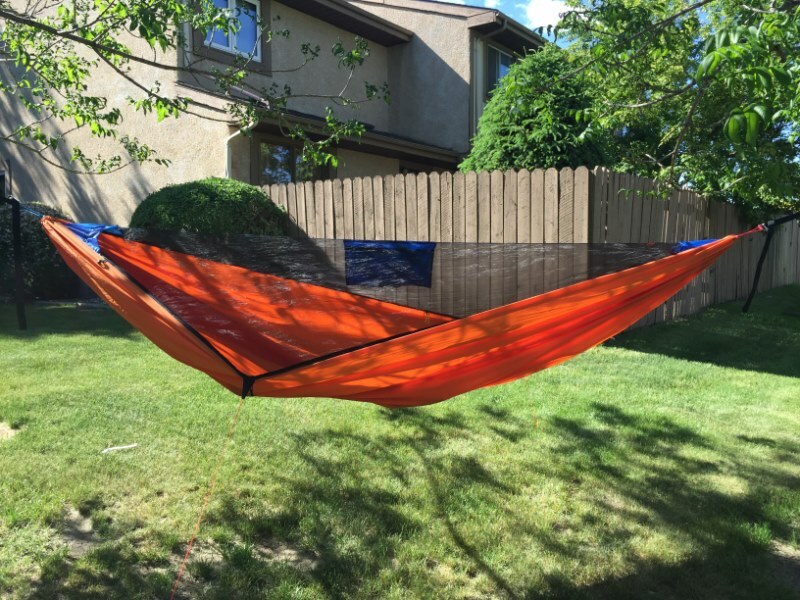 Custom product. Christmas special hammocks may be subjected to a slightly extended wait time. The videos show the standard bugnet below and the Swift style in the second video.